INSTANT EQUITY! SPECIAL PRICING! Currently accepting offers through Sunday February 19th at MIDNIGHT! ALL bids must be submitted by midnight on Sunday. Showings during open house only. OPEN HOUSE schedule Friday 2/17, 2/18 and 2/19 - see open house tab for details. Beautiful NEW BUILD property in Historic downtown Mesa. Citrus tree-lined streets, lush greenery and historic character surround this perfectly appointed, impeccably built replica of a 1930's historic single level that sits on an over-sized, flood irrigated lot with a temperature controlled 2 car garage and in-law suite above (on it's own separate 200 amp panel)! Originally built in 1930, this 2015 new-build offers energy efficient living with the quaint charm and architectural detail of the original historic home including the refurbishing of the original China cabinet. Since it's only a few years old and built with energy efficient doors and tinted, dual pane windows with newer A/C units, with radiant barrier throughout and 2x6 wall construction, you'll be very pleased with the reasonable utility bills. Custom wood finishes throughout include 3/4" solid oak wood flooring, Honduran Mahogany wood crown molding, wood counters and kitchen island. The gourmet kitchen features high-end cabinets, stainless steel appliances, a stainless sink, gas range, custom hardware and a very entertainment friendly, spacious kitchen island. The master bath is spacious with an over-sized shower, travertine and marble tile and a refinished & repurposed 1943 "furniture" vanity. Indoor laundry with custom, cedar closet shelving. In Arizona we live outdoors just as much as we live indoors and this home has the perfect outdoor set-up. Whether you are watching the game or entertaining, the original & refinished 1930's kitchen sink and bar area, mounted television and over-sized, knotty pine tongue & groove covered outdoor patio with pre-piped gas line for inferred heat, offers the perfect amount of comfort and shade. It's rare in this area to have a garage but unheard of to have a 33' drive through R.V. 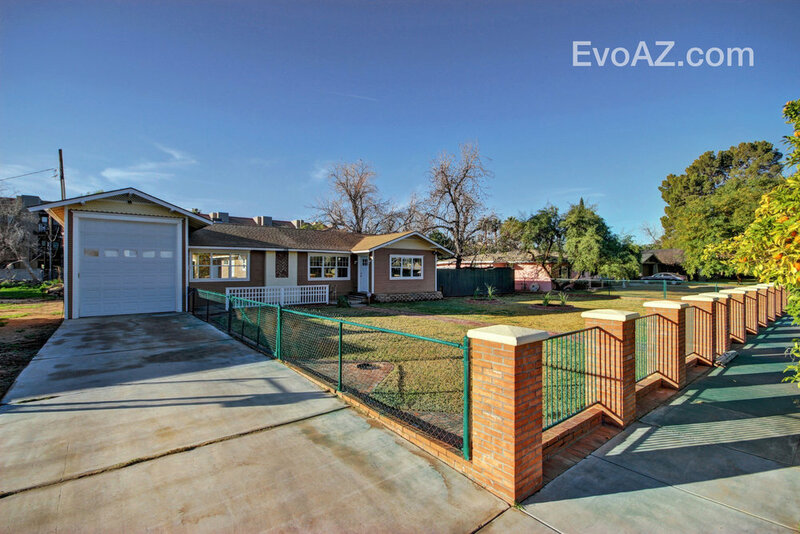 carport leading to the 2 car over-sized and temperature controlled garage with a 600 square foot apartment above! Perfect for a teenager, your in-laws, your home based business, your hobbies or your Airbnb rental!!! Seasonal rentals in the area are going for hundreds per night especially during Spring Training games. This truly is the perfect set up with kitchenette and bathroom. 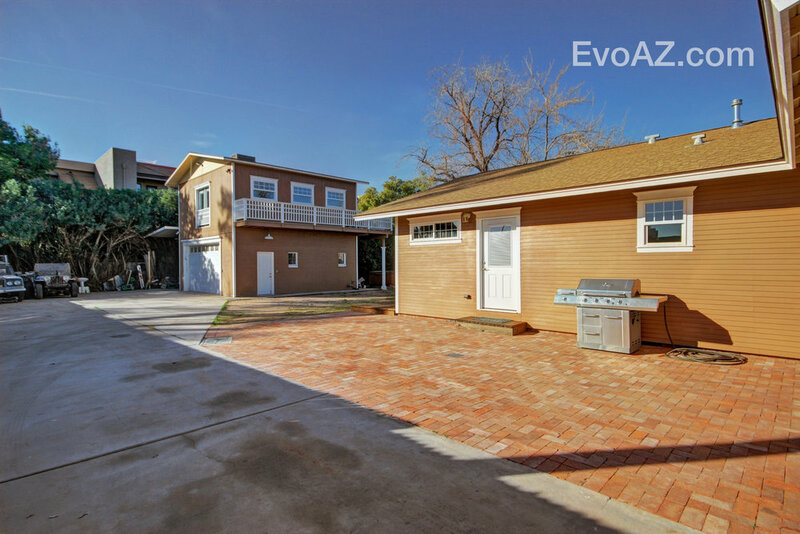 The home is set in the highly sought after, West 2nd St Historic District. Significant for its architecture and known as the home of the middle to upper-class families of the early 1900's, this is home to some of the very few citrus-lined medians left in Mesa. It is 12 minutes to Sky Harbor, less than 5 minutes to SR87, I-60, 202, 101 and within walking distance of the amenities of Downtown which includes many award winning restaurants, light rail, the Mesa Arts Center, and many other boutiques. Posted on February 17, 2017 by Katie Lambert.